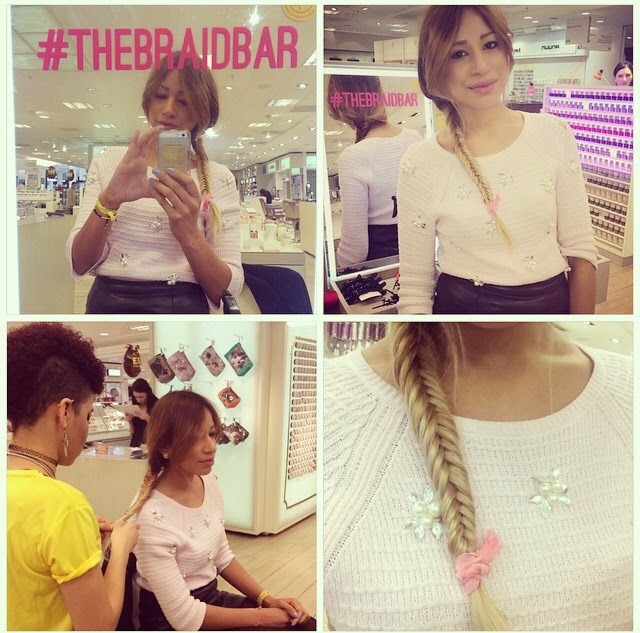 Goodbye Ombre and Balayage, theres a new hair trend hitting the catwalks and red carpet – Braids. Making the transition from playground (or Disney character) to runways, braids could be seen all over SS15 shows from Balmain, to Marc Jacobs, as well as celebrities, Blake Lively, FKA Twigs, and Alexa Chung. Now here’s the reality check. Ever tried braiding your own hair? It’s impossible, and so difficult to pull off unless executed correctly. Even the messiest French Plait requires symmetry which can never be never mastered by a novice. 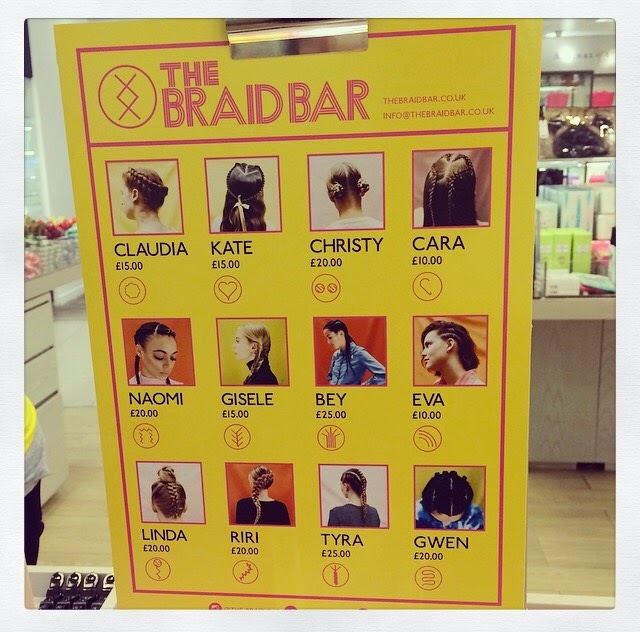 I would suggest leaving it with the skilful hands of the professionals such as The Braid Bar who currently have a Pop Up in Selfridges. 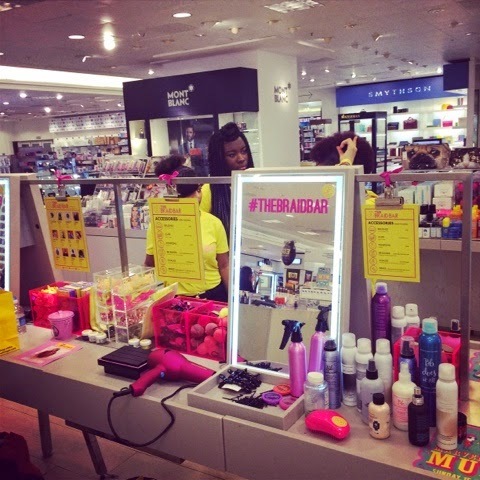 Open for two weeks only, this new pop up, founded by West London duo Sarah Hiscox and Willa Burton, is exclusive to the Selfridges Beauty Workshop on the Ground Floor. Choose from a visual menu of 12 styles named after supermodels and stars. Braids can also be adorned with beads, hair rings, and streaks of colour. At the Braid Bar, just walk in, theres no appointment necessary, no washing, or blow drying, and the girls are super fast. Mine took around 5 minutes, its amazing! Blake Lively is the inspiration for my look, because lets face it, no one rocks a braid like Blake!